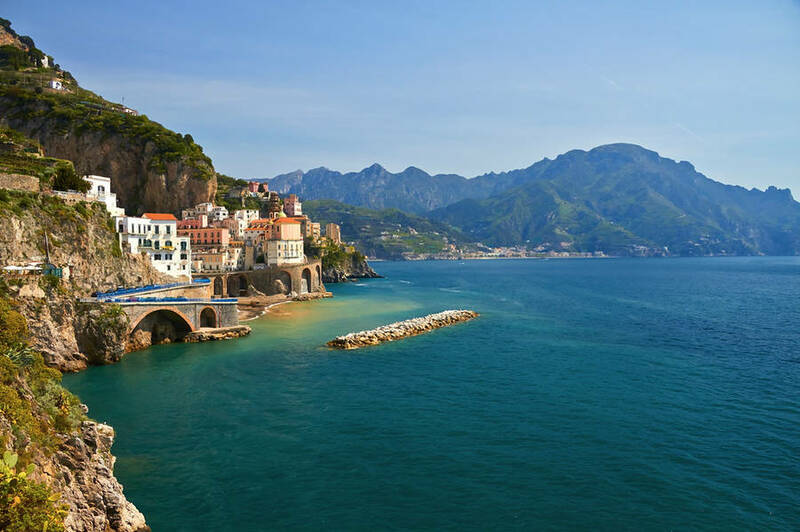 Amalfi, the first Southern Maritime Republic, is our destination for today's full-day guided walking tour. 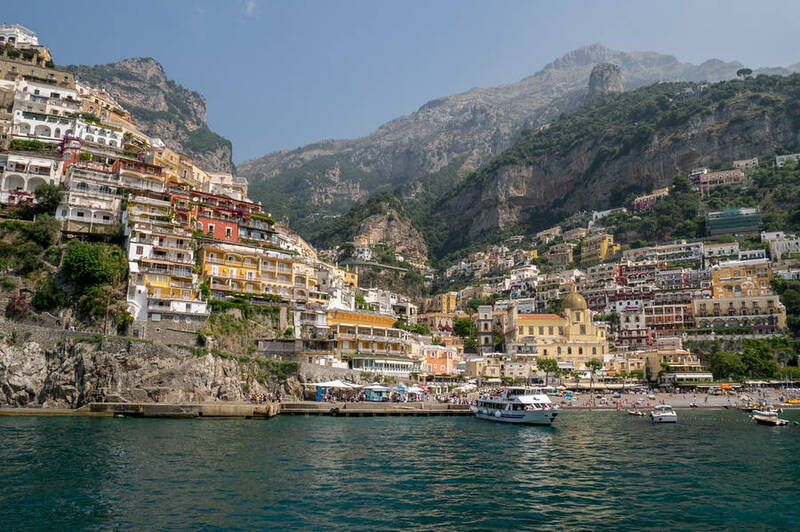 We begin with a visit to Amalfi's Duomo and the Cloister of Paradise before an optional visit to the Civic Museum to view the "tavole amalfitane", the maritime code created by the Amalfitans and which regulated seafaring activity for over 700 years. 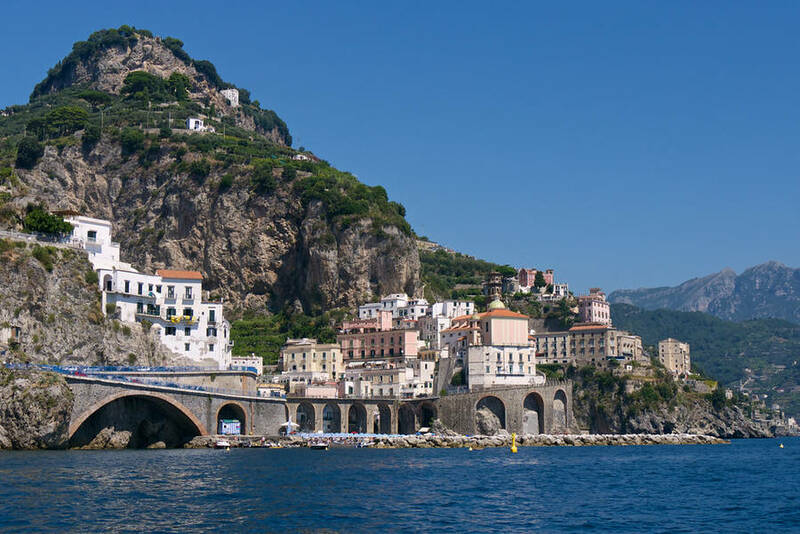 During our Amalfi tour, you can still see the ruins of what was the largest naval shipyard in medieval Europe. As well, you can tour a restored and functioning paper mill, recalling the days when the Amalfitans took the art of paper-making from the Arabs and made it their own, turning out precious paper products for export throughout the Mediterranean. The tradition of nostalgic paper-making continues to this day, and you can buy characteristic replicas of historic Amalfi letter paper, cards, maps, etc. Also, the area - like much of southern Italy - is marked by the presence of Saracen towers, built to guard against incursions by the Arabs and, later, the Turks. 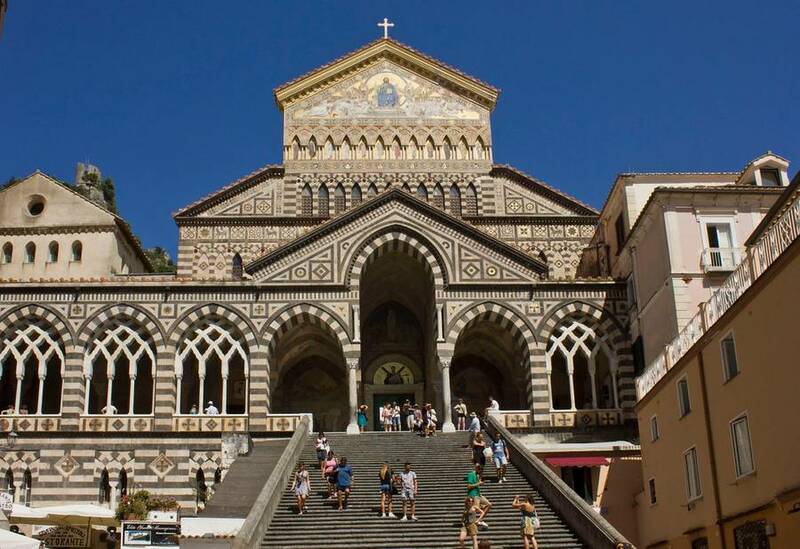 Time permitting, we can include a tour of the medieval mountain town of Ravello to visit the Villa Ruffolo or Villa Cimbrone and their fabulous gardens, or we can drive to Positano for a visit of the Church of Sant'Assunta and have time to stroll through the colorful, narrow streets or visit a nearby ceramic factory. 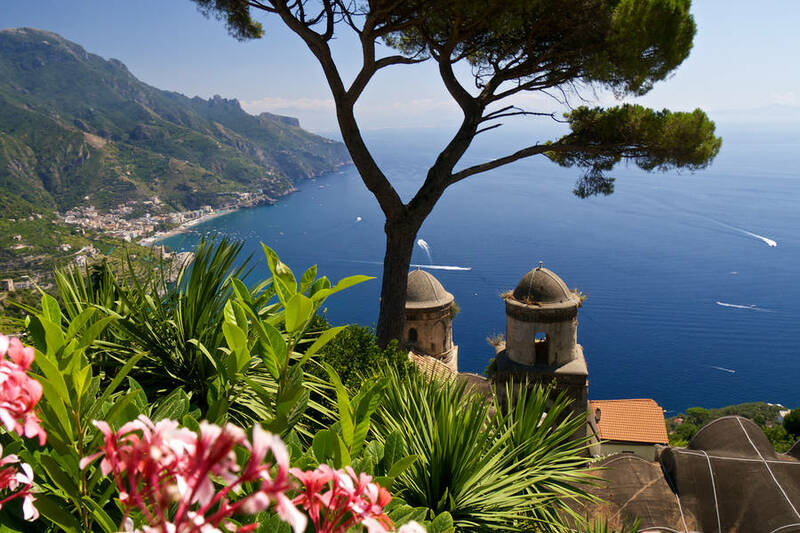 Known as the "City of Music", Ravello is home to remarkable medieval villas with immaculately manicured gardens. Spend a morning or afternoon in this tiny medieval town perched high above the coast enjoying amazing views and walking tours to the spectacular Villa Cimbrone or Villa Ruffolo. We will recommend a wonderful outdoor restaurant for lunch. 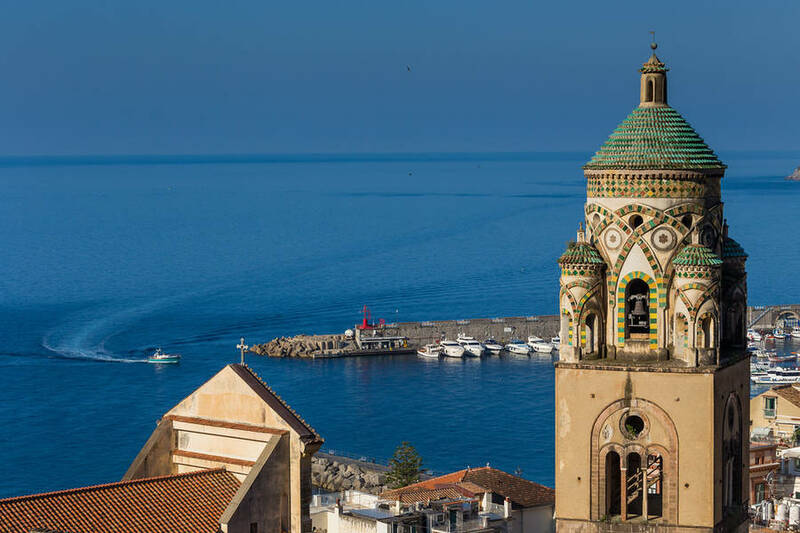 Enjoy a guided visit to Vietri sul Mare - the ceramics capital of the world - for a demonstration of the art of ceramic making. Of course there will be time for shopping! At Paestum, a short drive south of Naples, you have the opportunity to visit one of the most prominent and easily accessible of the sites in Italy that made up Magna Graecia (Greater Greece), that magnificent extension of Classical Greek civilization beyond the waters of the Aegean half a millennium before Christ. 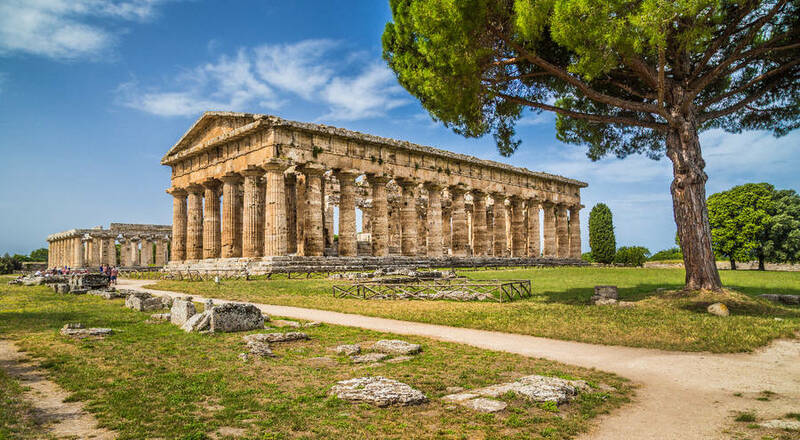 In Paestum one finds the best-preserved examples of classic Greek Doric architecture left in the world, including ruins in Greece. Your guide will explain the architectural evolution of the Doric temple from the archaic to classical style dating from 550 - 450 BC. 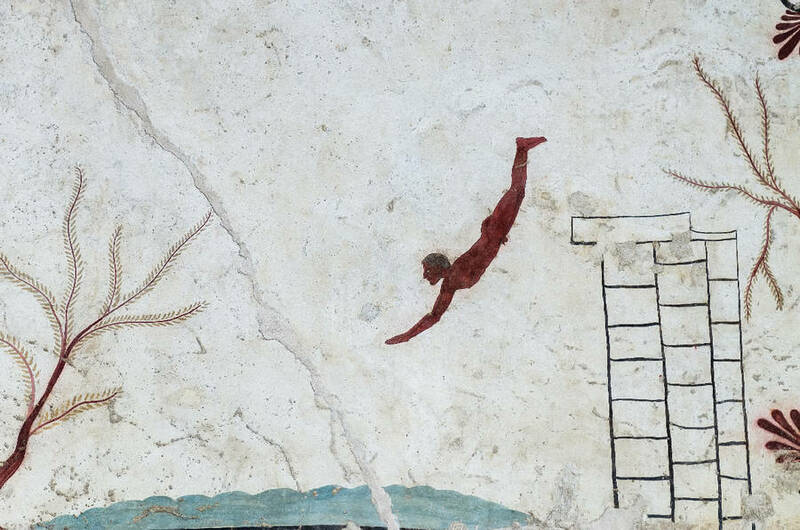 Afterward, enjoy touring the museum to view "The Tomb of the Diver", one of the few remaining Greek frescoes.